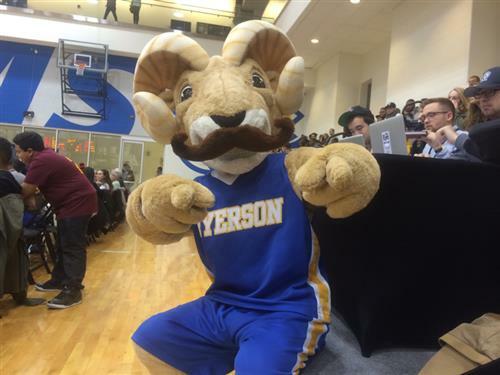 Follow along as we live blog both the Ryerson Rams men's and women's basketball games against the nationally ranked Windsor Lancers. Rams' Gabriel-Robinson gets a little too aggressive on the rebound and picks up her first personal foul. Some good defense by Lancers' Williams and she intercept a Rams' pass intended for Gabriel-Robinson inside the paint. Pingue-Giles put one in from beyond the arc to get the Rams within two. Paska puts it in to get the Rams within two. Sofia Paska drops one in again and it's a tie game, folks. Paska is having one heck of a second quarter. And the buzzer sounds to signal the end of the second quarter. Lancers lead 38-35 in what has been a crazy first half. 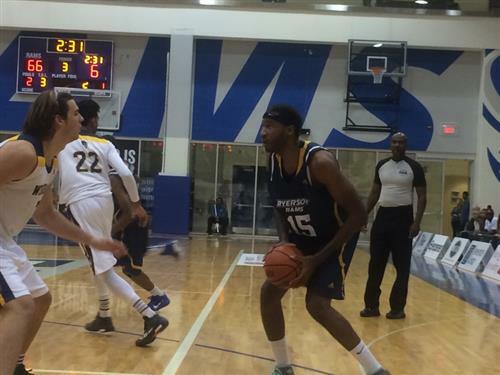 The Ryerson Rams found themselves trailing by 10-plus points in the first quarter and second quarters, but battled back both times to trail by three by the end of each frame. A little bit of halftime fun at the Mattamy Athletic Centre. Sofia Paska really stepped up her game in the second quarter. She has 11 points through the first half and is a big reason the Rams still find themselves within striking distance of the No. 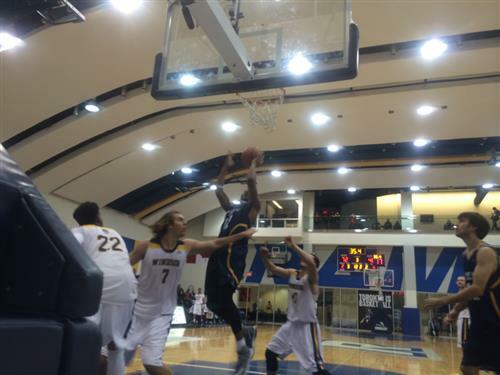 1 team in the country, the Windsor Lancers. Follis and Pingue-Giles have also made their presence felt for the Rams, each scoring six and seven points respectively. The Lancers have had a more spread out offense, with four players racking up five-plus points (Lalonde, Williams, LaRocque and Prevost). Jahmal Jones is struggling a bit with his shooting from the field (0 for 8). However, he has hit seven of his eight free throws. He also has six of the team's seven assists and seems to be running the offence. Kadeem Green leads the Rams with seven rebounds. And they're back. Windsor looks to cut into the Rams' 13-point advantage as we head towards the second half in just a moment! Green with the denial and Best with the bucket! RAMS building momentum! 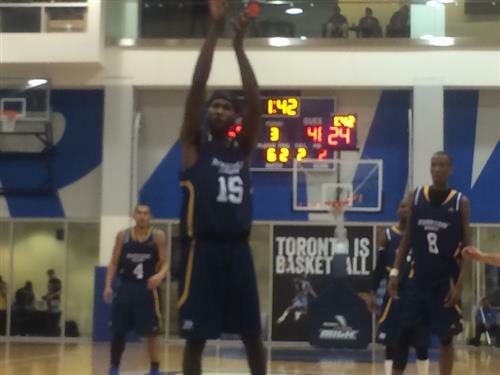 Jahmal Jones looks on as Aaron Best puts it home. No. 8 Mukama with the rejection as Rams are stifling the Lancers! Eggy feeling the Aaron Best 3! Its Raining 3s in the building as Lancers can't stop the Rams! Gauthier adds to the lead, which has swelled to 20 points! Rams running away with it as Windosr doesn't know what hit them! Gauthier puts in the three to give the Rams a comfortable 20-point lead. 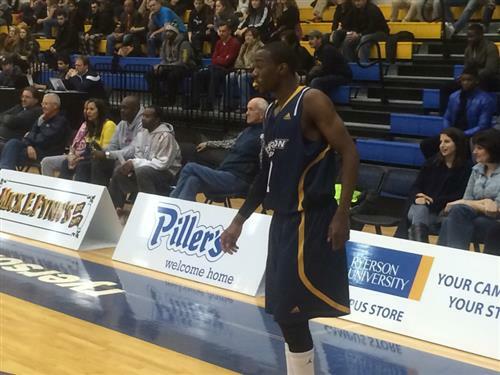 Aaron Best finishes after the euro step and leaves the Lancers defence bamboozled! Green attempts a jump shot from long-range. Rams' Green shoots from the line. Gauthier with a beautiful feed inside as Best finishes. Rams playing like champions tonight! 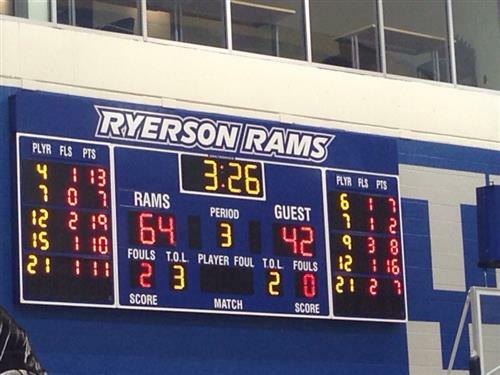 Rams' Aaron Best puts it home to give Ryerson a 75-48 lead. Best channelling his inner Ray Allen as he sinks yet another 3 to end the quarter. Lancers trail by 29! 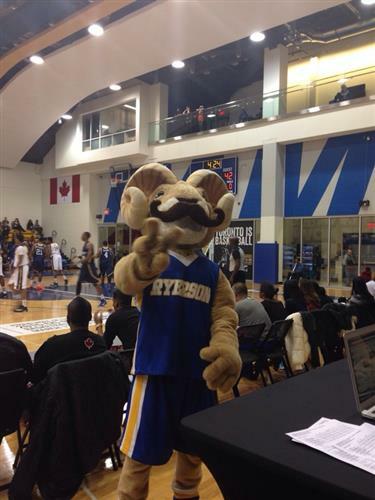 Rams' mascot Eggy is pleased with Ryerson's performance. The Rams are in cruise control now. With under eight minutes left in the game, they hold a 79-48 lead. Adika Peter-McNeilly drains the 10th three-pointer of the night for the Rams off a beautiful pass from Jahmal Jones. Another great pass from Jahmal Jones and Green takes advantage. Rams lead 84-53 now. JONES WITH THE ALLEY OOP TO BEST AS RAMS FINISHING IT OFF IN STYLE!!! Rams are pushing to make it a 100 points! The Rams reach the 90-point mark for the first time this season. Can they get to 100? Best with 30 points as Lancers have had no answer for him all night long! Rams getting a bit sloppy but have 98 points now!! Time is winding down. Rams are two points away from the 100-point mark. With the win, the Rams improve to 4-0 on the season, while Windsor falls to 3-1. 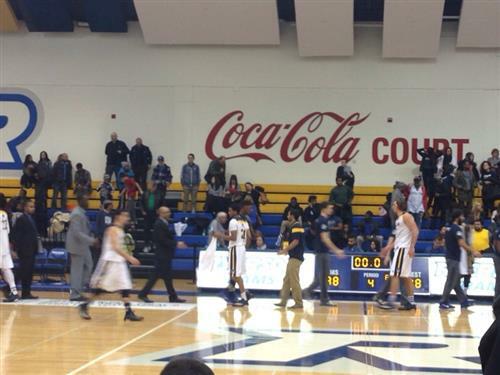 Lancers walk off as Rams defended home court with ease with a 20 point win! Well, it wasn't a perfect night, but both teams played hard and left it all on the court tonight. That concludes our coverage of the games tonight. We hope you enjoyed it and let's go Rams.